MONACO (Principality of Monaco) 15 April 2019 - Youthstream is proud to announce the worldwide television coverage of the 2019 FIM Snowcross World Championship which took place April 6th and 7th in Boden, Sweden. BODEN (Sweden) 06 April 2019 – The 2019 FIM Snowcross World Championship and FIM Women’s Snowcross World Cup have been decided at the Boden circuit of Sweden today. Adding to their world title resumes with the wins this year are Sweden’s own Adam Renheim and Elina Öhman while her cousin Filip Öhman took the FIM Europe Snowcross Championship title! 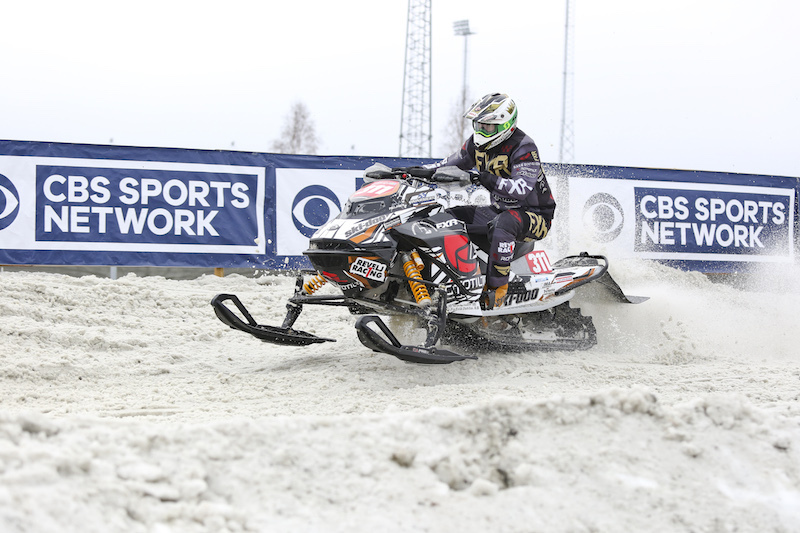 BODEN (Sweden) 05 April 2019 – The 2019 FIM Snowcross World Championship and FIM Women's Snowcross World Cup is at Bodentravet trotting track in Sweden’s northern town of Boden this weekend and ready for racing. The annual event will put the best Snowcross riders in the World against each other for the chance to win the title of World Champion or World Cup winner. MONACO (Principality of Monaco) 29 March 2019 - Youthstream is proud to announce the entry lists for the 2019 FIM Snowcross World Championship and FIM Women's SnowCross World Cup. MONACO (Principality of Monaco) 8 February 2019 - Youthstream is glad to announce that the 2019 FIM Europe Snowcross Championship will take place the 5-6th of April alongside the SNX World Championship at the Bodentravet trotting track in Sweden’s northern town of Boden.